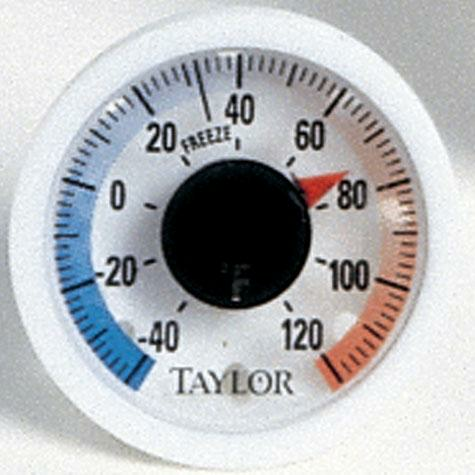 Indoor/Outdoor stick on thermometer. 1 3/4" diameter. Black numerals with red and black dial graphics. Red pointer. Easily mounts with included adhesive tape. Temperature range -40°F to 120°F and -40°C to 50°C. Weather resistant and rustproof.